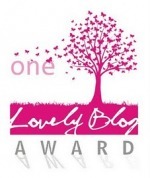 Rayborn Rambles: My Very First Award Nominations! Prepare yourself, because this is going to be a long one! So my friend, Elizabeth from Chubby Madness did something crazy. 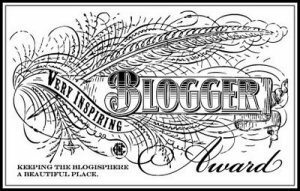 She nominated me for multiple blogger awards. Shut the front door, ya'll! Probably only a few of you know, but Rayborn Rambles is my third attempt at a blog. The other two worked alright for a while, but this set-up I have here is the first time that I really feel like I can write about whatever is on my mind. 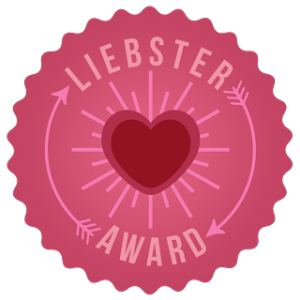 Anyhow, this is the first time that I have been given any kind of blogger award, and it makes my heart happy. I want to sincerely thank Elizabeth for the nominations. It means so much that not only does she read my blog, but that she thinks enough of my rambling to put me on her list. Thanks, beautiful! First, before I share, I want to go ahead and nominate a few others. Elizabeth, I of course send the nomination back to you. I love that your blog centers around loving ALL of yourself. Also, I think you should turn your Taylor Swift FB rant into it's own blog post. My friend, Shelby. She doesn't think that she deserves a nomination, but since that's not up to her, here it is! She is still trying to develop a feel for how she wants her blog to go and has recently started reading and posting about the books on her blog. My internet friend, Jen. We met on a message board way back during our pregnancies or before. And while I don't visit that site any longer, Jen and I are still friends on FB and I try to keep up with her blog. She shares very personal things about herself in her blog, and it makes me so proud at how brave she is. Also, there's plenty about her darling daughter, Olivia, who is right around Daven's age. I feel like if we lived in the same area, those two would be friends! Rocky Mountain Mama - another lady that I met through the interwebs. She has two adorable kiddos and blogs about mommy life, crafts, and wanting to become a Douala! (did I spell that right?) I love reading her blog. Christian just started her blog, but it's one to watch out for. She talks about her family life and sneaks in some creativity. I'm glad she started blogging so I can creepy stalk her online. See Vanessa Craft - I believe that I found her through Rocky Mountain Mama, and this lady is crazy-good with crafting! She has endless ideas that would keep you busy if you had the time to begin with! I know that there are a ton of other great blogs out there so don't feel bad if I accidentally skipped yours. I wouldn't want to make anyone feel bad with this post! 1. I wish I could find a way to become a professional jingle writer. I think that I would have a real knack for it and it would be something I'd really love to do! 2. I have to be laying on my right side with a pillow between my knees and my blanket up around my neck in order to fall asleep. 3. I consistently have dreams where I'm either back in high school or college, even though in the dream I know that I have already graduated both and am married with a kid. If I'm in high school again, I'm always stressed over not knowing the marching band routine. If I'm back at college I'm stressing over my senior recital being like a week away and not having any of my music yet. 4. My all-time favorite ice cream is the blue raspberry soft serve that you can only find at Holiday World. 5. I wish I could get paid to read. 6. I am embarrassed and ashamed at how technology UN-savy I am, compared to my husband. 7. I would eat sushi every single day if given the opportunity. I want to nominate the same people as I did for the other two award nominations. Did you skip over that part? Well then scroll back up and take a look! When is the last time you cried and why? Pretty sure it was the last time I was on my period and Adam and I got into a fight. Lame, right? Why did you start your blog? I wanted to keep a record of the silly and memorable things that happen in my mommy life and also to share with others what I read. What is the last movie you saw and how did you feel about it? Looper. It was tough for me to follow and a bit violent, but I liked it. Do you have any tattoos? If so tell me the meaning of at least one? I have 5 tattoos. The one behind my ear is a treble clef and a bass clef fit together to make a heart. Because music is a huge part of my life and who I am. 1. What is your favorite part of the day? 3. Star Wars - yes or no? 4. Name one crafty thing that you don't know how to do or haven't tried but would like to. 6. Describe what would be the ultimate awesome dinner. 7. What's your go-to way to get caffeinated? 8. What's your current favorite TV show? 9. How many nights a week do you cook dinner? 10. What are you most looking forward to about the warmer weather ahead? Thanks for making it all the way to the end if you did! I know that it probably wasn't very interesting if you weren't nominated. But check on the blogs I linked and see what you think. Did you learn anything new about me today? Since I have already did my thank you post, I will answer your questions right here. 1. What is your favorite part of the day? The evening, right when the sun is setting. I love sunsets. 2. What is your favorite Disney movie? Peter Pan, without a doubt. 3. Star Wars - yes or no? Never seen it. 4. Name one crafty thing that you don't know how to do or haven't tried but would like to: Hmm...I really want to know how to crochet, needlepoint and I want to get into scrapbooking. 5. Top 3 favorite animals: Lobsters, owls, and puppies! 6. Describe what would be the ultimate awesome dinner: Sushi. Fresh sushi. 7. What's your go-to way to get caffeinated? An ice cold coca-cola from McDonald's. They are my favorite. 9. How many nights a week do you cook dinner? Never. 10. What are you most looking forward to about the warmer weather ahead? I am only 3 hrs from Lake Michigan now. I envision many weekends up there. 11. Favorite candle scent: Black Cherry.